135-Piece Mechanic's Tool Set by Stalwart comes with all the household essential tools you would need for almost all minor maintenances. This well-organized kit comes in a compact durable plastic carrying case that fits anywhere in your home, apartment, garage, or even the car. IMPORTANT: Avoid buying counterfeit products and transacting with unauthorized sellers. Look for our logo on the packaging for every one of our products. Stalwart is committed to providing the consumer with the absolute best price and value on our entire line our products, which we ensure by applying a rigorous Quality Control process. Stalwart is a registered trademark protected by U.S. Trademark law and will be vigorously defended. ESSENTIAL FOR ANY PROJECT - Tool kit comes with all the household essential tools you would need for almost all minor maintenances. Stalwart Tools are made from durable metal construction giving you the ultimate precision. Great for DIY projects or every day home improvements. 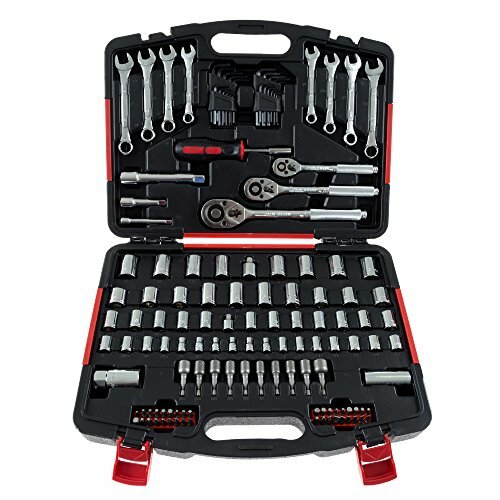 GENERAL USES - 135-piece tool set is designed to tackle all assembly, maintenance, and repair projects around the house or office. Fixing a leaky kitchen faucet or tightening up a loose screw on your bike, this tool set has everything you will need and more! 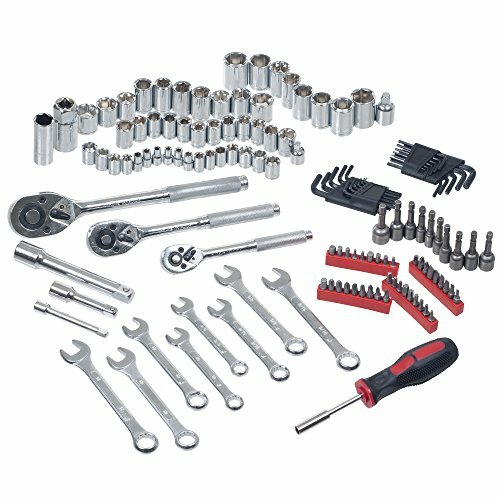 SET INCLUDES - Three quick release ratcheting drives with a wide selection of SAE and metric sockets, three ratchet extension bars, four metric wrenches, four SAE wrenches, eleven metric hex keys, eleven SAE hex keys, a multi-bit screwdriver set including SAE and metric impact socket bits, Phillips-head, flat head and more. Please see product description for additional bit sizing and product details. SATISFACTION GUARANTEED - Stalwart is committed to providing consumers with the absolute best price and value on our entire line of products. 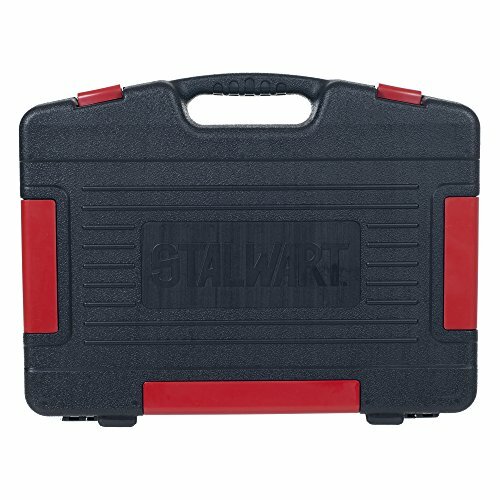 NOTE: This is an exclusive product of Stalwart and ONLY 135-Piece Mechanic's Tool Set by Stalwart are GUARANTEED to be genuine.